Summer time is here and the fishing is heating up in Puerto Vallarta Mexico. During the months of June through October we have some of the best fishing in the world. In the month of June usually around the 15 th . Of the month we get rains every day about 6 to 7 pm in the evening. This is a good thing as it cools everything off and creates superb fishing in and outside the bay. 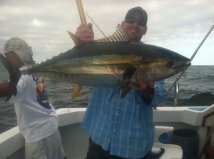 Summer time fishing in the bay can produce a lot of action with bonita,yellowtail,tuna,mahi mahi and even sailfish. This is because the water temperature reaches about 80 deg. And stays there until the winter months roll around. There will usually be a trash line that is created from all the stuff that comes out of the rivers here in Puerto Vallarta and surrounding areas. We have 5 rivers that feed into the bay here. Early morning fishing on this trash line can put ya on mahi mahi and selfish almost everyday. Be sure and have lots of live bait. Trolling with lures and sewn baits such as mullets work great as well. These bay trips are great for the families or someone looking to catch a trophy fish. For those who are serious about catching the big one such as marlin and tuna summer is the best time be fishing the outside of the bay. With the water temperature around 80 deg. There are schools of bonitos everywhere and the marlin and tuna follow them here to Puerto Vallarta. 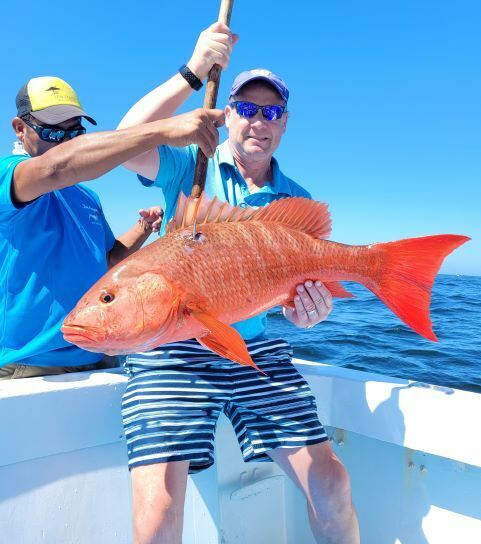 Just out past the Maritas,Corbetena and El Banco are just a few of the places we fish for the big ones. Plan on a 10 to 12 hr day for the marlin and tuna trips. As you can see summer time fishing in Puerto Vallarta can not be beat so come on down and wet and line and have a cold one.